Cheaters never prosper – until now anyway! Late last month, Hasbro Inc. announced plans to release a brand-new edition of Monopoly specifically made for cheaters! The company says Monopoly Cheaters Edition will be available in Fall 2018, and the internet is already going crazy for it. Because, let's face it, we've all cheated playing Monopoly (or at least tried to). In fact, according to a Hasbro in-house study of about 2,000 people, half of them at least attempted to cheat during games. And if you fall into that 50%, this game is definitely for you! The new Monopoly Cheaters Edition not only encourages cheating – rule-breaking is the very point of this game. The object is still to have the most money at the end, but it might be a little tougher to do so, since the game asks players to cheat as many times as possible along the way. 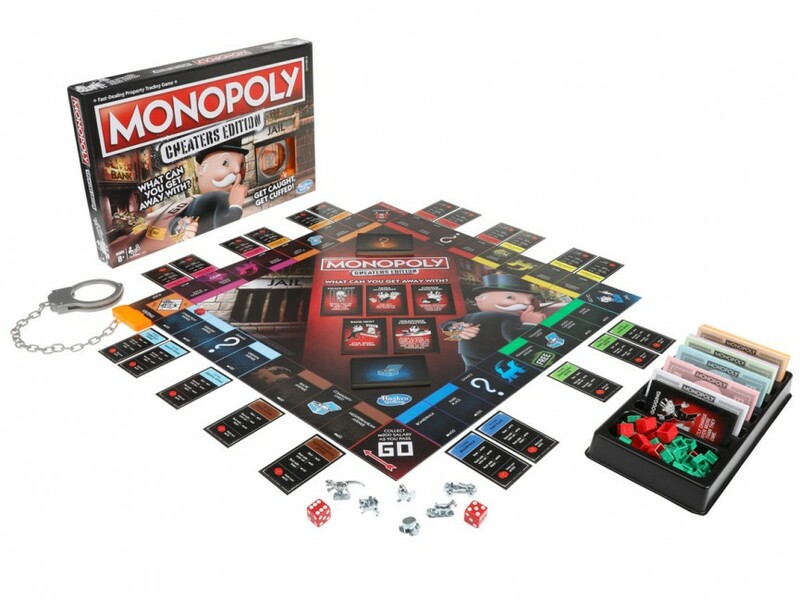 This edition includes Chance and Community Chest cards, as well as 15 cheat cards, which will ask you to complete tasks like stealing money from the bank, moving another player's token instead of your own and removing a hotel from another person's property. If you successfully cheat, you're rewarded. But if you get caught, you'll need to follow punishment instructions on the back of your card. You could end up in jail and even wind up handcuffed to the board (yes, there's a handcuff included)! But here's the kicker: for the first time in Monopoly history, there will be NO banker! And there are plenty of other changes, too. For instance, the first person to land on Pennsylvania Avenue can take it free of charge! It doesn't look like a Canadian price is listed anywhere yet, but US sources report the game will retail for $19.99 when it comes out in the fall. 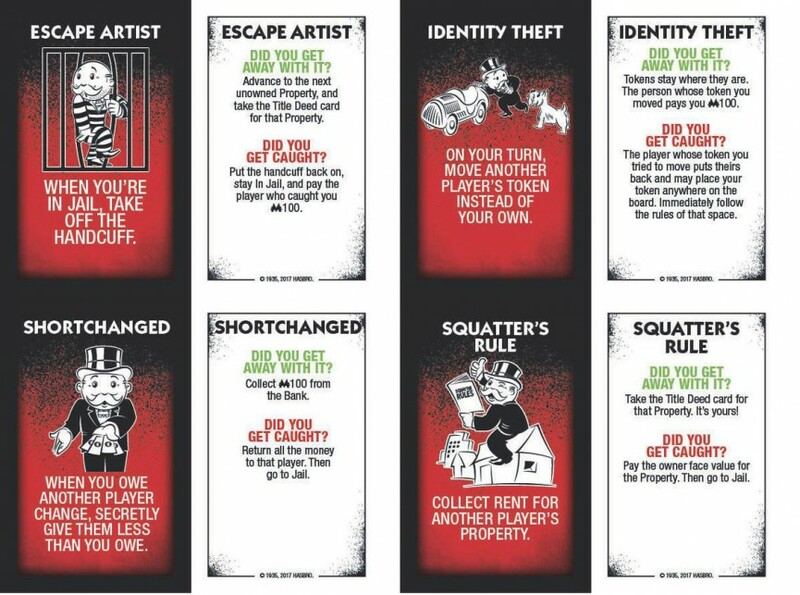 And if you're looking for a few ways to try cheating at regular Monopoly before this one comes out, check out Insider's list of the Top 10 Ways People Cheat at Monopoly! So what do you think? Will you try it out? Let us know in the comments!